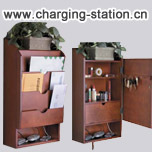 We are an ISO 9001:2000 certified recharge station manufacturer / factory, producing many models of recharge valet,wood charging station,wood charger valet,desktop recharging caddy,cell phone charger station! Enhance your home with the modern ease of technology without sacrificing the tradition of comfort and style. 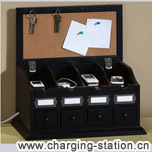 Each piece in our recharge valet,wood charging station,wood charger valet,desktop recharging caddy,cell phone charger station has a dual purpose Smart Technology seamlessly connects you to high-tech accessories by keeping electronics and cords discreet while also organizing and holding household items. 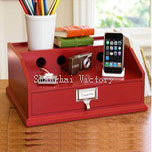 Sort papers and bills while recharging portable electronics with our stylish products. 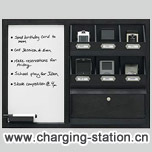 Not to be confused with electric vehicle charging caddies, a cell phone recharge valet is a desktop organizer usually made from wood, that come in various shapes, sizes and colors and include a hidden compartment to store a power strip. Electronics chargers are then plugged in to the hidden power strip and cords are placed through the recharge valet to attach to phones or other devices on the top side of the recharge valet. 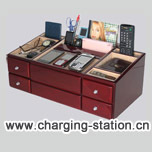 A recharge station is mainly used to recharge electronics. 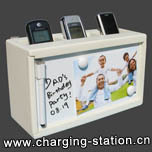 Recharging Valets are designed as a cell phone recharge station, but have separate valet compartments for personal item storage. 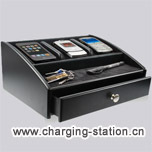 Any handheld electrical device can be charged on a recharge valet or recharging valet. 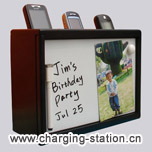 Most people prefer to charge cell phones, mp3 players, PDA's, digital cameras, Bluetooth devices, Blackberry PDAs, etc. 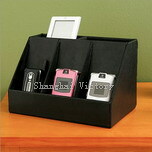 Mainly any type of electronics that will fit within the recharging area provided. b. If one recharge valet will be enough to hold what you need to charge. 12 What is a Charging Valet? - Do you ever feel as though you have too many electronic devices with wires everywhere? I know my desk can often be a tangled mess of cords from my cellphone charger, mp3 player, camera cords and so on. There actually is a solution to this issue, and it is called a charging valet. What is a charging valet? This unique product keeps all of your electronic devices together so that they can be recharged while avoiding cluttering your house or office. 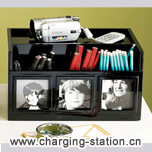 Many charging stations have a very refined and sophisticated design so they can actually improve the look of your table or desk. Often they include stacked shelves inside upon which you can put your various items. 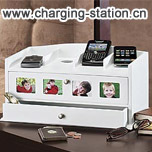 A charging station eliminates exposed wires that can look so ugly. 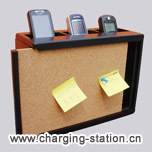 The cords for the different items can be fed through holes on the back of the charging valet. 13 How does a Charging Valet Work? 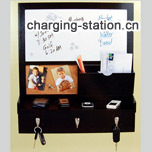 - A charging valet usually has one power strip. To set it up you need to make sure that the large plug sizes all fit comfortably. 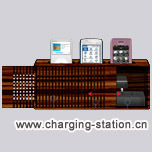 You will also need to feed the various cords from your devices into the back of the charging valet station. Once you have your valet set up properly, it should end up saving you time. 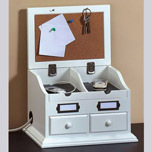 Not only will it reduce clutter, it will help you stay organized. 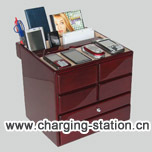 There are various types of charging valets that not only look different, but also that hold more or less devices. 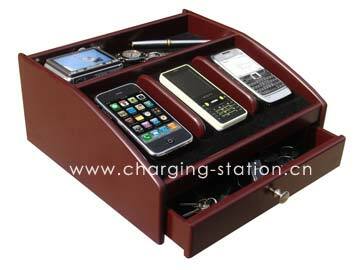 This charging station looks great and is a wood with a cherry finish. It also includes a drawer to hold things like watches. 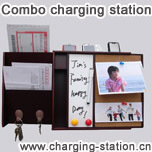 If you are looking for a smaller charging valet, a good choice would be the Mini Charging Valet. 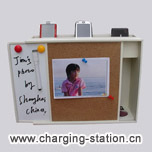 There are also recharging station for mp3 players, digital cameras, PDAs, cell phones, etc. Put it on your dresser, desk, or entryway table.